Discover the best ways to see if a plot of land is the right real estate for your new modular home. Building in the wrong place can cost thousands! Now that you have a general idea of what your budget is, your next step is to find some land. If you already own land, there is still a wealth of information in this section that will be useful to you, so read on. There are several things that need to happen before you can purchase land to build on. First you have to decide what area you want to live in and find some suitable sites. You can use a real estate agent, search a local newspaper for ads, or even go for a drive around the area to see if you can find any for sale signs. A real estate agent may cost you more money up front, but they’ll have access to some land that you won’t be able to see without them, and with their knowledge they may provide you with some invaluable assistance. Before you go and buy the land, you should do some due diligence on the property. Even on a piece of property that looks great on the surface, there are all sorts of nasty surprises that can pop up. Every town and neighborhood has different rules when it comes to where on your land you may build. Most houses in suburban areas must be at least 15 feet from the public right of way (which does not necessarily end at the street or sidewalk). The first thing to do would be to contact the town and make sure that the property isn’t under any sort of environmental protection. If, for example, any bit of the property is designated as wetlands, you may not be able to build anywhere on it. Even if the seller assures you that everything checks out, make sure to get written permission to build a residence from the town before moving forward. Even if you are cleared to build on the land, you will need to make sure you’re allowed to build what you want. 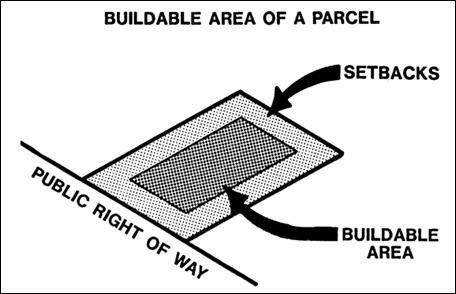 Some towns have regulations that won’t allow you to build homes over or under a certain height or width, regulations that force you to build a certain distance from the street or your neighbor’s lots, or regulations that dictate what building materials you’re allowed to use. These regulations vary not only from state to state and town to town, but even from street to street, so make sure to be as specific as possible when you talk to the town. 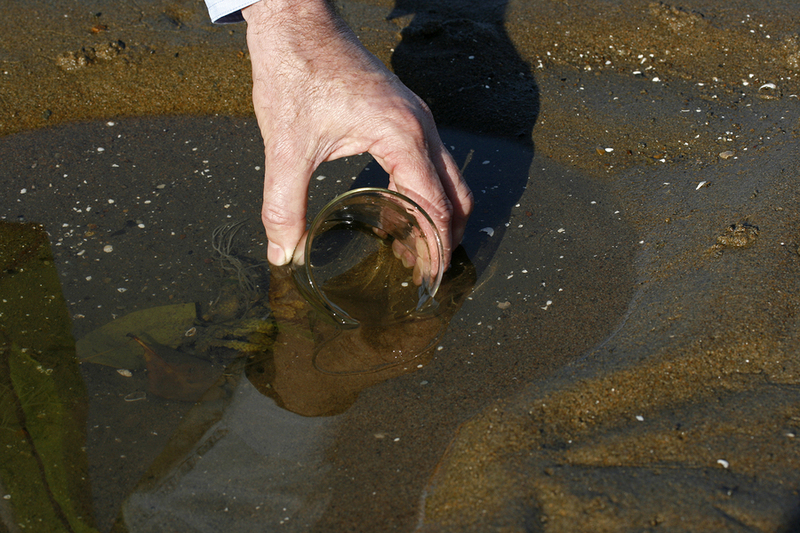 Polluted soil can have a number of different causes. If you live near an industrial area, or even near a river or floodplain that has factories upstream, you may run in to problems. Some pollutants can hang around for decades, so even if a factory closed down a long time ago, they may still be present. Have tests done to see whether or not the soil is free of pollution. Polluted soil can be extremely dangerous, especially to children. You should be extra sure to do pollution tests if you’re planning on digging a well or setting up your own waste management system. Even if the pollution levels are low enough for you to feel safe building there, the town may decide that it is unfit for residential use. You should also make sure that the land isn’t being used by any other individuals or companies. Even though you’ll be purchasing the land, certain previously existing agreements may override your ownership. If for example, a utility company runs its pipes or electricity through your land, they may not allow you to dig your foundation where you want. A nearby farmer may have purchased grazing rights on your property for his animals, so while you may own the property, you will not be allowed to build anything that keeps his animals from grazing freely. There are innumerable problems that can turn the perfect site for your new home into a useless piece of land, so make sure you’ll own all aspects of the land before you agree to buy it. Here you can see an unfortunate homeowner who discovered too late that he would have to dig into hard sandstone to place his foundation. Doing exploratory digging before purchasing the land could have prevented this costly mistake. The next thing to consider is what the soil under the home is made up of. If there’s a significant amount of clay or loose gravel, your building costs will skyrocket. Similarly if there’s a solid rock ledge or a subterranean stream, you’re probably looking at thousands and thousands of dollars in added expenses. The best way to determine what you’ll find when you dig your foundation is to do some exploratory digging. This consists of digging several holes of varying depths in different places around your property. Any reputable seller with nothing to hide will allow you to do this before buying a piece of property, and some will even pay to have it done for you. This can even be negotiated into the price of the property and is something that a good real estate agent will have plenty of experience doing. Since exploratory digging consists of more than just sticking a shovel in the ground to see what’s what, you’ll need a General Contractor to complete this work. If you’re planning on getting your water, electricity, and gas systems from the town, you should make sure that there are necessary hookups nearby. If you’re in a neighborhood or along a major street, chances are that the cost to extend these to your home will be minimal. If you’re farther removed from the street, or if you’d rather your home be more self-sufficient, here’s some in-depth information on what it will take to provide your own water, waste management, and electricity.